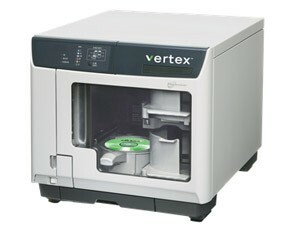 The system consist of Vertex Server software, unlimited Vertex Client and Vertex IHE Media Importer licenses. Query & Build, automated DICOM, and System Backup profiles are provided by default. Also included is a pre-configured PC with monitor, keyboard and mouse. DISC label design software and all necessary cabling are also provided.